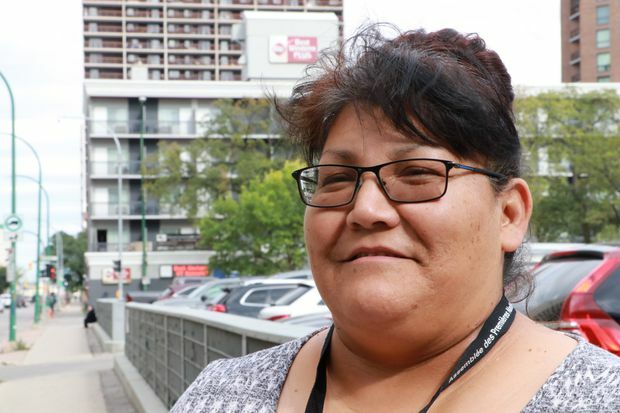 Bernadette Sumner poses for a photo outside a Winnipeg summit on Jordan's Principle, on Sept. 12, 2018. Sumner says her family struggled for years to get a specialized wheelchair and bed for her 17-year-old son Keanu, who has achondroplasia and is a paraplegic. First Nation families say they struggled to get wheelchairs, beds and other health-care services for their children before Ottawa adopted Jordan’s Principle. Bernadette Sumner said her son Keanu, 17, was falling through the cracks for most of his life because the family lives on the Waywayseecappo First Nation in Manitoba. Keanu was born with achondroplasia – a bone growth disorder that means he has short limbs and a small torso – and lumbar stenosis, which left him paralyzed. Carolyn Buffalo told the Assembly of First Nations meeting that she fought for more than a decade so her son – who has cerebral palsy – could get an electric wheelchair, feeding supplements and transportation to school.